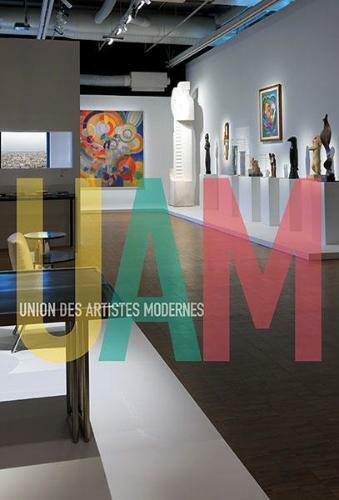 L’UAM, Union des artistes modernes, incarne la modernité française au 20ème siècle. Elle a rassemblé tous les grands noms de créateurs dans une démarche inédite et inégalée, réunissant disciplines et domaines artistiques variés. L’UAM a eu pour ambition de proposer un nouvel art de vivre et n’a cessé de vouloir le faire partager au plus grand nombre. Au cours d’un parcours chronologique articulé en différentes sections, l’exposition remonte aux origines françaises de cet idéal où tous les arts se côtoient et se conjuguent à travers les réalisations collectives et les œuvres de chacun. The Union des Artistes Modernes (UAM) was the embodiment of 20th-century French modernism. This “union of modern artists” brought together creators of every kind – artists, architects, designers and exponents of every kind of craft – a unique endeavour, without precedent and without successor. The goal of the UAM was the development a new art, a new design for life that it sought to make available to the widest possible public. Conceived as an instrument of struggle, it attacked the prevailing conservatism, but given the unfavourable conditions it found itself forced to adopt a more defensive role, eventually accepting defeat and winding itself up. This unprecedented exhibition at the Centre Pompidou presents half-a-century of modern art and design through the productions of some of the most renowned of 20th-century practitioners, from Le Corbusier to Robert Mallet-Stevens, from Eileen Gray to Charlotte Perriand, from Pierre Chareau to René Herbst, from Francis Jourdain to Jean Prouvé. Its various sections chronologically organised, the exhibition looks at the French origins of this ideal of the unity of the arts, given expression in collective projects and in the work of individual members. The UAM was founded on 15 May 1929. It had its origins in the Salon d’Automne established in 1903, which served both as space of experiment and as sounding box for the champions of modernism. There, the decorative arts were not relegated to the side lines, and modern ideas of interior design could even be glimpsed in the canvases of avant-garde painters like Pierre Bonnard, Édouard Vuillard or Henri Matisse. The discovery of the power of colour and the abandonment of Art Nouveau formed part of the same movement. The idea of an all-embracing organisation emerged from the professional practice of the founding members, who during the 1920s had developed a common point of view and a habit of working together as they responded to commissions and organised for events. The members of the UAM shared a past, being colleagues, friends, intimates. They were public figures, strong personalities, socially engaged. They formed their own organisation in reaction to the refusal of the Société des Artistes Décorateurs to allow them a common space in which they could showcase the modernist aesthetic principles they championed. The steering committee formed by Robert Mallet-Stevens, Francis Jourdain, René Herbst, Hélène Henry and Raymond Templier succeeded in attracting dozens of notable figures, among them Sonia Delaunay, Fernand Léger, Jean Carlu, Pierre Chareau, Jean Prouvé, Le Corbusier, Pierre Jeanneret and Charlotte Perriand and Eileen Gray, united “to insist on making anew without looking back”. While the UAM did produce a manifesto in 1934, some years after its foundation, in order to respond to the attacks it had to face, its favoured mode of communication was the exhibition, with four annual shows of its own beginning in 1930. It also participated in the lighting exhibitions of 1935 and 1936 and in successive housing exhibitions; it maintained a strong presence at the household arts or “ideal home” exhibition; and its members featured in the exhibitions associated with the competitions it jointly organised with steel promotion agency OTUA (notably those for the steamer cabin and for school furniture). Intended as expressions of a shared vision, the UAM’s annual shows rejected the hierarchy of the arts, championed the primacy of collective work and showcased a resolute modernism that was as yet rarely accepted or promoted by the public authorities. Only the accession to power of the Popular Front won the members of the UAM a place at the Paris Exhibition of 1937. Alongside individuals’ various involvements in the various pavilions, they were all found together in the UAM’s own, the work of Georges-Henri Pingusson with Frantz-Philippe Jourdain and André Louis, whose dynamic glass-and-metal architecture was one of the few manifestations of the new architecture to be seen there. After the long economic depression and years of being at the losing end of the style wars, the Paris Exhibition seemed to represent a turnaround. In retrospect, however, it can be seen as the apogee of the UAM’s activities. The dark years of the war once past, its members could imagine their time had come, when they would be called on to help rebuild the country on a new basis. So it came to pass, but the organisation itself collapsed: its life was over. Its members, new and old, continued to uphold the spirit of the UAM, putting it into practice in their work. But they gradually set up new bodies: Formes Utiles, which continued the struggle to renew domestic design, and Groupe Espace, which brought together architects, engineers and artists in quest of a synthesis of the arts.